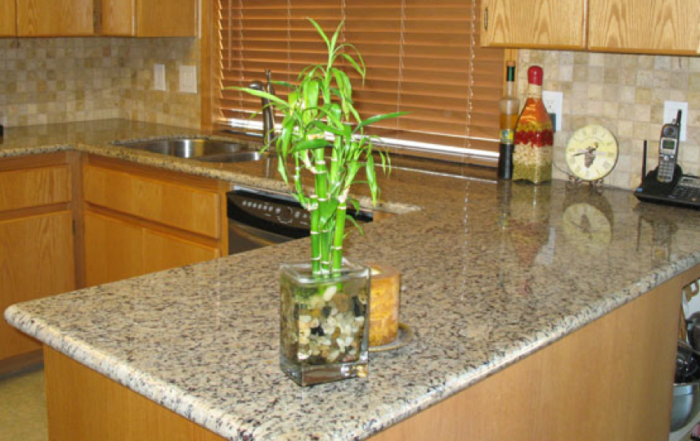 Sunset Granite offers our residential and commercial customers the highest quality, custom stone and composite countertops. We also carry a full line of sinks and faucets to perfectly compliment your new countertop. Sunset Granite can help you select the right sink and faucet combination to make your kitchen and bathroom vanity look stylish and elegant for years to come. With price points for any budget and a wide selection, we’re you’re one stop shop for your home or business countertop improvement. When we begin the process of defining exactly which product is best for your kitchen or bathroom, our first order of business is to determine if a double handled or single handled faucet will bet suit your project. It’s more than just the hot and cold, on and off features we’re determining. 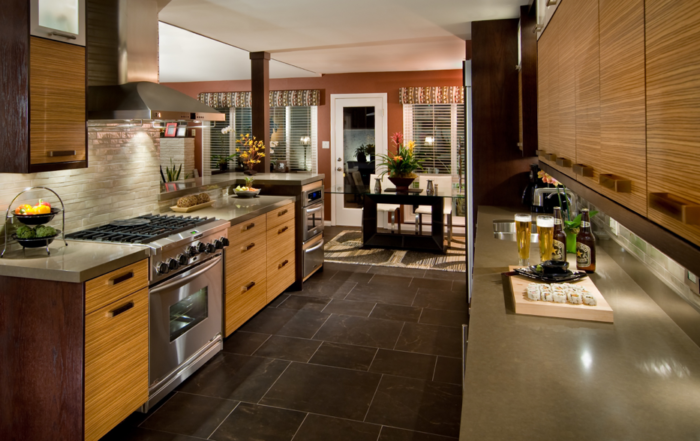 It’s matching the style and functionality you desire for your kitchen or bath. Once selected, your new countertop and sink will need to be drilled with appropriate configuration of holes to accommodate the faucet you’ve selected. We have an extensive selection of designs for single handled faucets. This is a more stream-lined feature where the temperature is defined by a single knob. When one is designing an ultra-modern or minimalist styled bathroom, a single handled faucet is an excellent option. The proper finish is of key importance for your faucet. There are four finishes that are most common to the majority of bathroom faucet manufacturers. As the name states, with oil-rubbed finish bronze faucets, the bronze is rubbed with oil. A dark chocolate warm brown is the result. The color is permanent and gives an almost dark wood like finish to a bathroom faucet. Oil-rubbed bronze looks great in a darkly colored bathroom that is full of rich and earthy natural colors. The antique bronze finish brings a very dark, black-like finish to the faucet. The finished product is similar to oil-rubbed bronze but much darker. The coloration is permanent. A brass fixture is electroplated in a chrome bath to obtain a hard coating of chrome, which won’t oxidize. This creates a bright finish long term, though it’s important to guard against heavy scratches. If a matte finish that isn’t such a bright silver is more your personal style, then a brushed nickel finished faucet may be the best choice for you. Brushed nickel looks great with many different countertops and sinks and won’t stand out the way that chrome can. The color is similar to a warm gun metal color. Just like single handled faucets, doubled handled faucets come in the same four distinct finishes listed above. There are two major differences in the styles for double handled faucets. Some originate from a central set point and the others come from three separate wide spread cut-outs. Beyond this there are long neck faucets, classic embellished designs and modern concepts that lend themselves to clean lines and simple shapes. All are priced reasonably with the more modern ones being about 25% more depending on the finish chosen for the particular model. Many of the designs for both single and double handled faucets come in each of the metal finishes. Please feel free to ask us about all the configuration and finishing options for your new faucet.